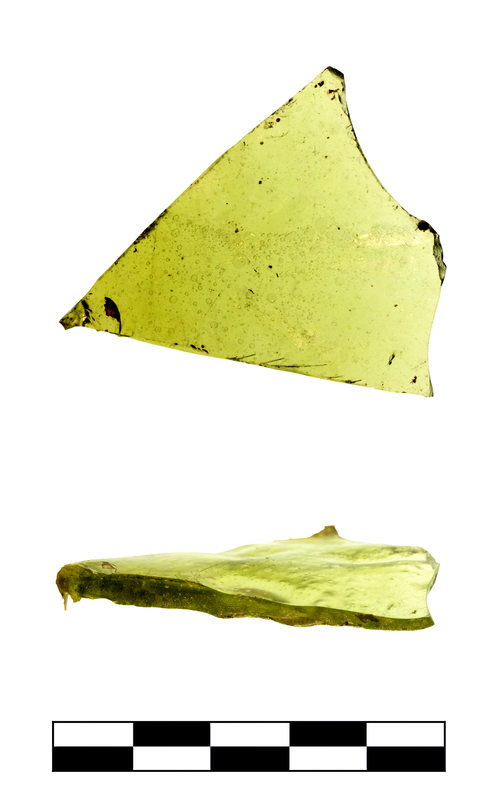 Yellowish green (PMS 584C), translucent. Many small to medium-sized, spherical bubbles. 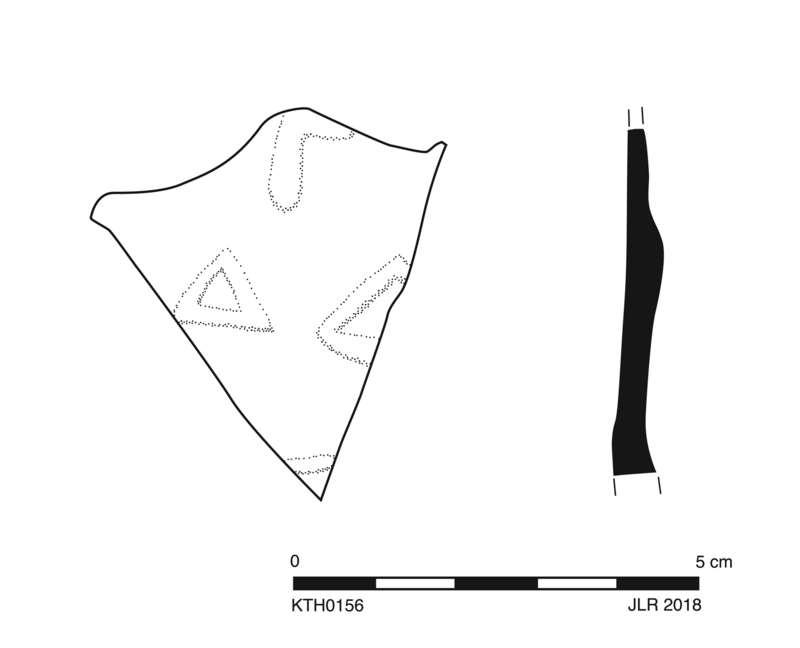 One fragment preserves large part of base. Slight chipping and feather cracking along edge; slight patch of iridescence.